Are you thinking of adding a feature wall to your property? Slate is a lovely natural stone to bring into your home and has never been more on-trend. 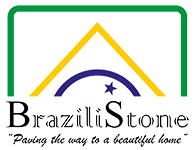 Brazilistone have over a decade of experience in the slate and tiling industry. 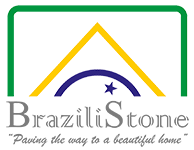 We enable you to order the most beautiful slate cladding for your home. We sell thousands of metres of this type of cladding every year, with our wall cladding suitable for use as flooring, skirting and internal or external wall cladding. Fully tested to withstand the worst British weather, it is also suitable for installing outdoors in your garden. Slate has been used for hundreds of years as a roofing material, thanks to being extremely resilient. It not only looks great when installed but ages extremely well. Our slate wall cladding comes in a variety of colours and sizes, making it ideal for a variety of spaces, including bathrooms, wet rooms or external walls. We enable you to combine different widths of cladding together, so you can create a truly stunning feature for your home. Prices for our black Brazilian slate strips start from only £18.65. Based in Oxfordshire, our slate products can be delivered anywhere in the UK or mainland Europe. Why not discover more about our slate cladding today?